I'm slowly but surely working my way back into cooking regularly. My life took a major cartwheel in early 2018 and I've been taking some time off before I'm ready for the commitment of regular blogging. Now that I feel more like myself again, how about I share a simple (but important to know) recipe with you? I'm 50% Italian and even my mother (the other 50% that makes up my DNA who is not Italian) makes her own. Every. Single. Damn. Time. It's so easy! This phrase is also usually accompanied by the said parental gasp. 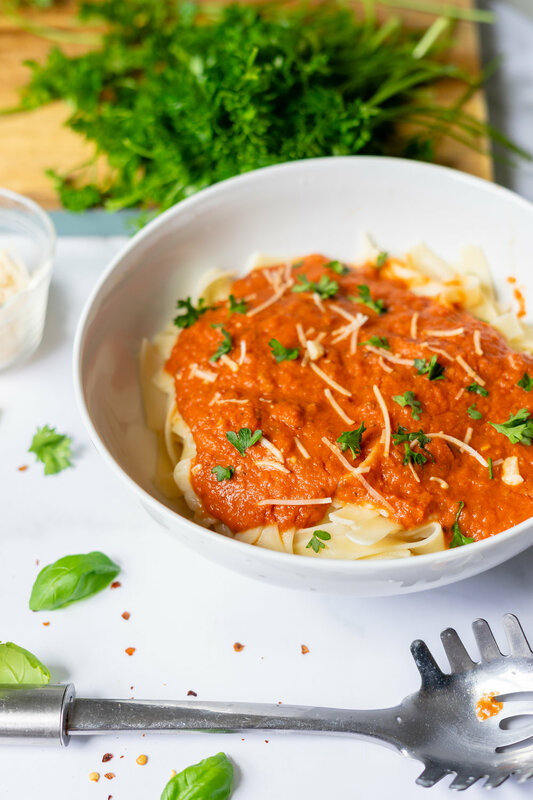 Using store-bought sauce is fine when you're in a pinch but if you want to explore the possibilities of simple but delicious cooking, I highly recommend making your own. This is also a great option if you're trying to impress someone with a home-cooked meal. Because, who doesn't love pasta? The home made aspect is what takes it a step further. As most of the world is probably aware, there are many varieties of pasta sauce. Arrabbiata, a less commonly known one, is very similar to marinara, except it's spicy. "Arrabbiata" actually means "angry" in Italian and is a classic Roman pasta sauce. 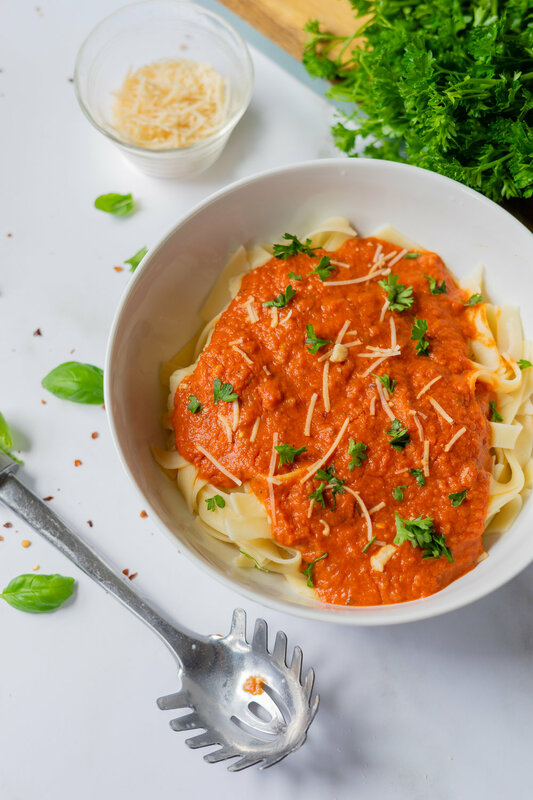 While I can't confirm if it's classic Roman style to serve this sauce with parmesan and fresh parsley, I'm going to it anyways because it just tastes way better that way. #SorryNotSorry. The best part about pasta sauce - and Italian food in general - is the ingredients are incredible simple and cheap. The majority of these ingredients you probably already have, too, because they're so common. I'm sure you already have olive oil, garlic, Italian seasonings (if not fresh herbs), and red pepper flakes in your pantry. The rest will cost you less than $10 total all together. Finely mince your garlic cloves and quarter your cherry tomatoes. Roughly chop the fresh basil. In a large sauce pan, add the tbsp of olive oil over medium-low heat. Add the quartered cherry tomatoes, allowing them to soften. You can gently mash them in the pan to help cook them faster. After about 5 minutes, add the garlic to the pan and stir every 30 seconds to prevent burning. Once the garlic is fragrant, add the whole can of crushed tomatoes to the saucepan. Stir in the fresh basil, oregano, and crushed red pepper. Continue to stir until the sauce begins to slightly bubble, then transfer to a blender. Blend on medium until the texture looks smooth with little to no tomato chunks. Serve over pasta or store in the fridge for up to 10 days. Freeze in an air tight container for up to 6 months.